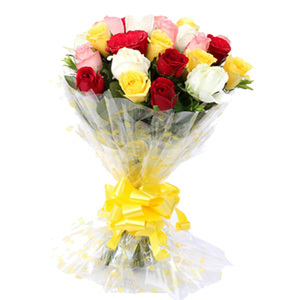 Bunch of 18 Mixed Rose Bouquet. The card had message handwritten in illegible writing. For the price taken 799 a decent card with msg printed wouldve been good service .